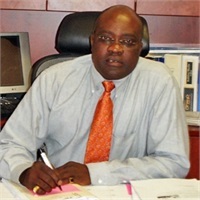 Sylvester is the founder and President of Brights Financial & Tax Service, a Certified Public Accountant. He is licensed to practice public accounting in the state of California, and a member of Cal Society of Certified Public Accountants. He is a sole practitioner who has been in the tax and financial services business since 1993. Brights Financial & Tax Service specializes in the tax preparation and planning of (all states) Individuals, Businesses Partnership, Corporation, Estates, Trusts and Fiduciaries returns. Other services include but not limited to Small Business Accounting, Payroll, IRS Audit Representation and Tax Resolution. As a sole practitioner, Sylvester and his professional staff take pride in providing individualized, personalized and professional services to clients. We are here for you; and you are encouraged to utilize our services. Please feel free to email and/ or call on us; take time to explore our website and enjoy your visit. Remember, if you are new, we set you up and, if you are behind, we catch you up.